It is one of the sadder facts of Van Gogh’s life that he only sold one painting while he was alive. We will look into that in a little bit, but for now I want to concentrate on this painting. As often as I had heard that story, I realized I did not know what painting it was. 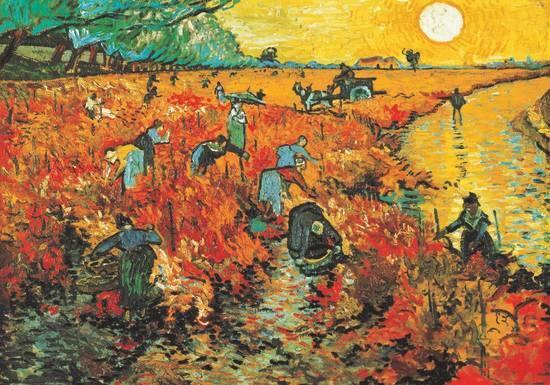 It was the Red Vineyard in Arles, shown below. I don’t recall having seen this piece before. I certainly hadn’t paid it much mind. Looking at it now, though, it does strike me as a wonderful piece. The style and use of color are very much Van Gogh’s. He was attempting to capture the beauty of this autumn vineyard by the river as the sun sets, and the people who work it. It is a lovely piece, containing a lot of images Van Gogh liked to use in his work. If you want to display this piece in your own home, consider a custom mat and frame to really make it pop. As I said, though, the above may not be the full story. The Red Vineyard is the only painting we know for sure that he sold, but it is likely he sold others. It was common for artists of the time to trade or sell the early works to pay rent, or even to barter for more painting supplies. I don’t believe we know how successful he was with this, but a number of sources indicate that Van Gogh sold a few paintings. 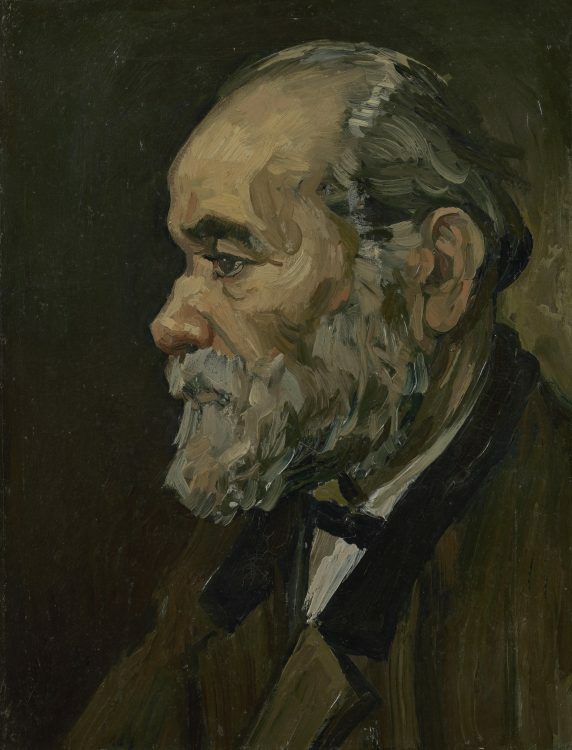 The “Portrait of an Old Man with a Beard” above may have been a painting he tried to sell at one point. And finally, I thought I’d take a moment to look at one of Van Gogh’s early paintings. 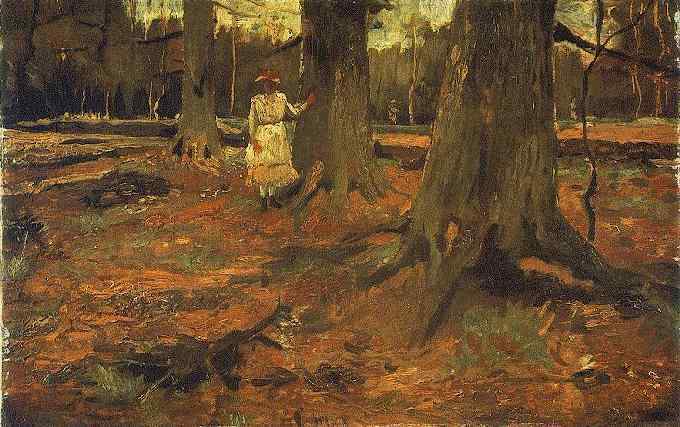 The above piece is simply called “Girl in White in the Woods.” Van Gogh hoped to capture the feeling of walking in the woods, to try and capture and sounds and smells and changes and put them on the canvas. Though he got better as this as he went along, I still like this piece. If you’d like your own collection of Van Gogh pieces to displayed, you could put all three of these into a Custom Matboard.